1897-Born on June 24th, at Biloxi, Mississippi, son of Luca Jalanivich (1866-1902) and Manuella Morranna (1859-1929). 1902- Luca Jalanivich expired at Biloxi on August 20, 1902, from heat prostration. 1905-Mrs. Manuella M. Jalanivich married Francisco Mueso (1860-1940), a Spanish immigrant, at Biloxi on November 18th. 1903-1914-Manuel E. Jalanivich studied art in the Biloxi public school system with Miss Mary Ethel Dismukes (1870-1952). She had training in oils and watercolor with J.H. Twatchman (1853-1902) and Kenyon Cox (1856-1919) of New York City, among others. 1910?-1912?-Studied pottery with George E. Ohr (1857-1918), “The Mad Potter” of Biloxi. 1915-Operated his own pottery booth on Howard Avenue next to Keller's Barbershop. 1917?-Studied at the Niloak Pottery in Benton, Arkansas. 1918-1919-Enlisted in the US Navy at New Orleans, Louisiana on March 28, 1918. Stationed at Newport, Rhode Island. Discharged here on March 12, 1919, with the rating of Seaman 2nd Class. 1919-1921? Durant Kilns to study with Leon Volkmar (1879-1959) at the Bedford Village Pottery, Westchester County, New York City. 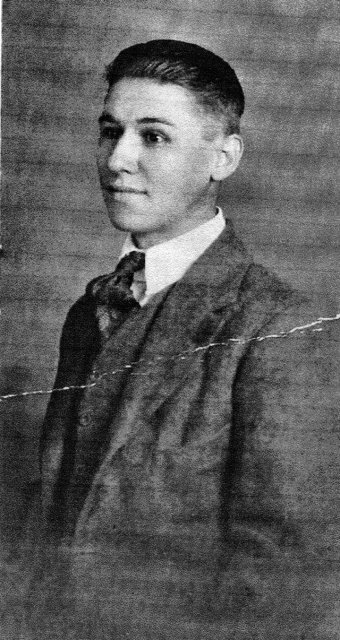 Here he met his life long companion, Ingvardt Olsen (1888-1959), a 1908 Danish immigrant from Copenhagen who had been trained as a technician at the Royal Danish Copenhagen Chinese Kilns. 1921?-Jalanivich and Olsen went to Central America and worked in Panama for awhile. 1925- Taught a short pottery course at the National Academy of Design in Honolulu, Hawaii. 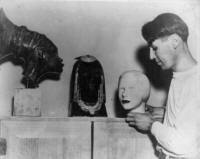 1927-Jalanivich showed several pieces of his California pottery at the 1st Gulf Coast Art Association Exhibit held at the Biloxi Public Library in February. 1929-Jalanivich’s mother expired in July on Lameuse Street at Biloxi, Mississippi. 1938- Jalanivich-Olsen commenced a ceramics school for women in the San Francisco Bay area. 1939-Jalanivich and Olsen works, a bowl and table pieces on loan from the S.G. Gump Company of San Francisco, displayed at the San Francisco Golden Gate International Exposition. Closed San Francisco studio and moved to Belmont, California. 1940-Moved to Belmont, California and built a home in rural setting at 901 Holly Road. 1942-1943 Jalanivich and Olsen taught art and pottery to recovering wounded American veterans of the South Pacific theatre at the Letterman Hospital in Presidio at San Francisco. 1944-Expired at Belmont, San Mateo County, California on June 15, 1944. Buried at Woodlawn Memorial Park in Colma, California. It was at the Durant Kilns that Manuel Jalanivich’s would met the two men, Ingvardt Olsen (1888-1959) and Leon Volkmar, who would most deeply influence his personal as well as creative life. With Ingvardt Olsen, Jalanivich formed a life long bond that would result in their harmonious enterprise, the Jalan Pottery at San Francisco and Belmont, California. Arguably, Leon Volkmar was the dominant artistic influence in Manuel’s Jalanivich’s brief but prolific ceramic career. It was from Volkmar that he adopted his interest in the ancient pottery styles of the Orient and Mediterranean basin. Like Volmar, Jalanivich would also flourish as a teacher of ceramics. Jalan Pottery was the name chosen by Jalanivich and Olsen to produce commercial ceramic ware in California. It was identified by its large scale, simple form, color, style, and crackled glaze. Jalanivich created wheel-thrown forms and also did extensive clay modeling, while Ingvardt Olsen specialized in glazing. Olsen’s Persian or faience blue and “egg-plant” glazes were well accepted. W.F. Dietrich in 1928, described the Jalan Pottery as: Jalanivich and Olsen are making an attractive line of glazed pottery using a buff-burning body and lead glazes. Their output is hand-molded on a potter’s wheel. It is fired in a round kiln, approximately 3 feet inside diameter of their own design and built by the gas company, city gas being used for fuel. The clay, from California sources, is fired to 2000 F and the glaze to 1500-1700 F.
James Eugene Sablich Sr. (1921-2005) was interviewed by Ray L. Bellande in May 2002, at his home on 440 Porter Avenue in Biloxi, Mississippi. Present at the meeting were his wife, Shannon Randazzo Sablich, and Gertrude Jalanivich Medlock (b. 1924), a niece of Manuel Jalanivich. Bellande-Jim, give us your early recollections of your Uncle Manuel (Jalanivich) in Biloxi? Sablich-The earliest recollection that I have is that he came down to visit Biloxi and his sister (Jim’s mother) and brother, Johnny Jalanivich, with his friend, Ingvardt Olsen. That was when we lived on 626 Lameuse Street and that wasn’t yesterday. That was quite a few years ago. Bellande-How old were you then? Sablich-I was in the fifth or sixth grade-about ten, eleven, or twelve years old. About 1931. He (Manuel) came down to visit us and stayed with mother and daddy in the house with us. He took over my bedroom and my brother’s bedroom. Before he left Biloxi to go back, he had to sit down to make chalk crayon pictures of me and my brother. Bellande-Were they pastels or colored chalks? Sablich-Colored chalk. I was so proud of that. Bellande-Were they a good likeness? 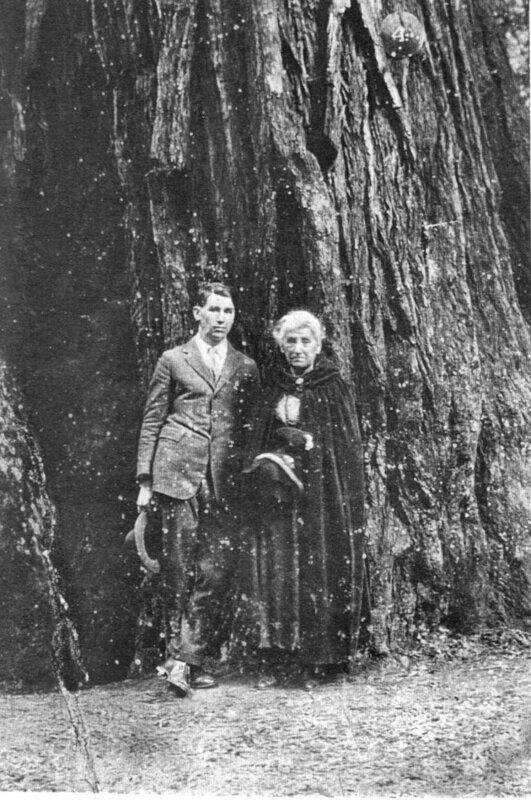 Bellande-Did he (Jalanivich) ever talk about Ethel Dismukes? Sablich-Oh, all the time. She lived and had her studio on Lameuse Street, one block from the beach. I visited that place many times too. Bellande-Did she (Dismukes) recognize his early art talent in the Biloxi Public School system? Sablich-Well, this is something that I don’t know anything about. Bellande-When Manuel came here (Biloxi) did he ever visit her (Miss Dismukes)? Sablich-Every time he came to Biloxi he visited Miss Dismukes and he would go to Ocean Springs to see Mr. Peter Anderson because they came up together and he would go down and watch him do his work. Bellande-Did he (Jalanivich) ever talk about his early life in Biloxi? Sablich-No. But my mother (Mary Jalanivich Sablich) did. My mother told me that when he was just a little tot that he would always go around Mr. Ohr’s pottery shop on Delauney Street. Mr. Ohr took a liking to him and gave him a broom to clean up his shop after him. As the years went by, he taught my Uncle Manuel to do this pottery work. As far as I know, he stayed here long enough to learn enough to go to California to start his own pottery. Bellande-Did Jalanivich have his own pottery shop on Lameuse Street in Biloxi? Sablich-I don’t know anything about that. Bellande-Did Manuel make any pottery when he visited Biloxi? Bellande-Do you know anything about him (Jalanivich) going off to the Navy? Sablich- Yeah. I don’t know if whether it was the Navy or Army, but that’s where he made the little statue that I got while he was in camp in Louisiana. The war ended before he got any further and he came back to Biloxi. Bellande-Do you know anything about him (Jalanivich) meeting a wealthy woman in Virginia? Bellande-Is there anything else about his visits to Biloxi? Sablich-He always visited friends involved in pottery and art. Bellande-Was there anyone besides Miss Dismukes or Peter Anderson or Ohr? Sablich-I knew somebody else in those days. My daddy cut her hair. Jesse Smiler. I think she was involved with Miss Dismukes. She was a real estate agent. Bellande-Did you know Miss Dismukes sister-in-law? Sablich-Well, I met her every time I went to see Miss Dismukes. Bellande-Did you ever go anywhere with him (Jalanivich) in Biloxi? Sablich-We always went to the beach-Wachenfeld’s Pier and Hagan’s Pier or the Riviera Pier. Bellande-How long would he (Jalanivich) stay in Biloxi? Bellande-Do you have anything to add Gertrude (Medlock)? Medlock-The time that I remember him coming to see us, he had a convertible touring car. That’s about all that I can remember about him. Sablich-He had a big, big Buick. I remember Uncle Manuel and Ingvardt both made an extended trip to Africa and stayed there a year or better. He made some pottery over there and as I told you earlier I have a statue made of a native and she had a big to do or bonnet or something. When my mother and daddy moved out there over on the beach, I had it outside to load in the car and I forgot it. I’d give every damn thing in the world if I could find it. Bellande-Did he (Jalanivich) make several trips to Biloxi? Sablich-Yes, I bet he made about three trips to Biloxi. He brought Ingvardt when he made my picture. 1935-California-Pacific International Exhibition, San Diego, California. 1936- National Ceramic Exhibition, Museum of Fine Art, Syracuse, New York also known as the Fifth National Ceramic Exhibition (Robineau Memorial) and named for American art potter, Adelaide Alsop Robineau (1865-1929), of Syracuse, New York. The Amberg-Hirth Gallery, San Francisco, California. 1937-Contemporary Crafts Exhibition, Philadelphia, Pennsylvania and Oakland Art Gallery’s Exhibition of Sculpture where work received an honorable mention. 1939-Decorative Arts Exhibition of the Golden Gate International Exposition at San Francisco. 1948-(Ingvardt Olsen and Charles Nye) 7th Annual Pacific Coast Ceramic Exhibition, Rotunda Gallery, San Francisco, California. 1994-Renwick Gallery of the National Museum of American Art, Smithsonian Institution, Washington D.C.
2003-The Ohr-O'Keefe Museum of Art-Biloxi, Mississippi, "Born of Biloxi-Joseph Meyer, George Ohr, and Manuel Jalanivich". The Biloxi Boys, J.F. Meyer, G.E. Ohr Jr., and M.E. Jalanivich, were among the most notable American potters of the late 19th and 20th Century. Being reared at Biloxi on the Mexican Gulf, they experienced the humid subtropical climate, tropical cyclones or hurricanes, and shared the joie de vivre provided by the unique southern European culture, which proliferated here until post-WW II. 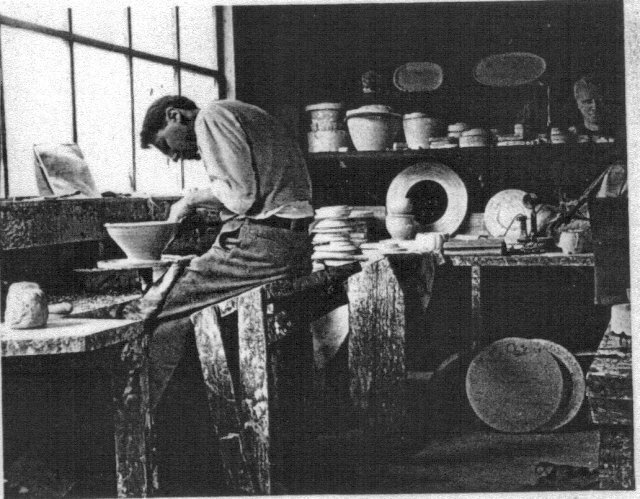 While Meyer and Ohr were instrumental in the art scene at New Orleans being instructors in the early years of the Newcomb College art program instituted by William Woodward (1859-1939), Manuel E. Jalanivich shared his ceramic knowledge with eager students at the California School of Fine Arts in San Francisco. Today, each of these native Biloxi art potters is remembered for his uniqueness: Meyer for his glazes, simple forms and affiliation with Newcomb Pottery; Ohr for his skill on the potter’s wheel, exciting glazes, and marketing schemes; and Jalanivich for his large forms and moulds. All are collectible. In recent years, the value of Ohr pottery has risen geometrically. Meyer’s Newcomb Pottery has also become very valuable. Jalanivich’s works are located primarily on the West Coast and are still reasonably priced if they can be located. Ebay is an excellent place to commence a search for the works of these artists. 440 Porter Avenue, Biloxi, Mississippi 39530-(228) 374-7321. The Arts and Crafts Movement in California, (Oakland Museum and Abbeville Press: New York-1993). Dane Cloutier and Bob Schmid, Journal of the American Art Pottery Association, “Leon Volkmar: The Master Potter Who Made History”, Vol. 1, No. 3, May-June 1985. Paul E. Cox, Potteries of the Gulf Coast, (Iowa State College: Iowa-1935), p. 197. Paul Evans, “Jalan: Transitional Pottery of San Francisco”, Spinning Wheel (April 1937), p. 24. David E. Gifford, “A Brief History of Arkansas Art Pottery-Ouachita, Niloak, and Camark”, The National Society of Art Pottery Collectors, Vol. 1, No. 1, Spring/Summer 1996. Lois Lehner, Lechner’s Encyclopedia of U.S. Marks on Pottery, Porcelain & Clay, (Collector Books: Padukah, Kentucky-1988), p. 226. Jerome Lepre, Catholic Church Records Diocese of Biloxi, Mississippi, Vol. I, (Catholic Diocese of Biloxi: Biloxi, Mississippi-1991). HARCO, Ms. Circuit Court Marriage Record Book 10, Giurilinovich-Morano, October 13, 1894, p. 264. San Mateo County, California Case No. 11473, “In the Matter of the Estate of Manuel E. Jalanivich”, March 1945. The Biloxi Daily Herald, “Funeral of Luka Giovulnovich”, August 22, 1902. The Courier Bulletin, “Jalanovich”, June 23, 1944. The Courier Bulletin, “Well Known Ceramic Artist Dies in Belmont”, June 23, 1944. The Daily Herald, “Biloxi News Paragraphs”, May 30, 1910. The Daily Herald, “Biloxi boy has artistic talent”, April 16, 1912. The Daily Herald, “To Show Friends Their Art Work”, May 21, 1913. The Daily Herald, “Biloxi High Doings”, December 4, 1913. The Daily Herald, “Biloxi Youth Is Talented Artist”, April 11, 1914. The Daily Herald, “Art Exhibit At Central School”, May 22, 1914. The Daily Herald, “Biloxi youth makes pottery”, March 13, 1915. The Daily Herald, “Art Exhibit is enjoyed by many”, May 22, 1916. The Daily Herald, “Sablich-Jalanivich”, June 6, 1918, p. 3. The Daily Herald, “Mrs. Frank Mueso Dies”, July 2, 1929. The Daily Herald, “Biloxi News”, March 20, 1933. The Daily Herald, “Manuel Jalanovich (sic) In California”, ???? The Daily Herald, “Jalanivich-Weems”, March 31, 1936. The Daily Herald, “McGraw-Jalanivich”, February 8, 1937, p. 8. The Daily Herald, “Mueso Funeral”, February 29, 1940. The Daily Herald, “Jalanavich (sic) Gaining Fame As Potter”, June 11, 1941, p. 7. The Daily Herald, “Visit Art Exhibit”, May 31, 1949. The Daily Herald, “Miss Dismukes Dies”, February 18, 1952. The Daily Herald, “Manuel Jalanivich Dies in California”, June 19, 1944. The Daily Herald, “J.M. 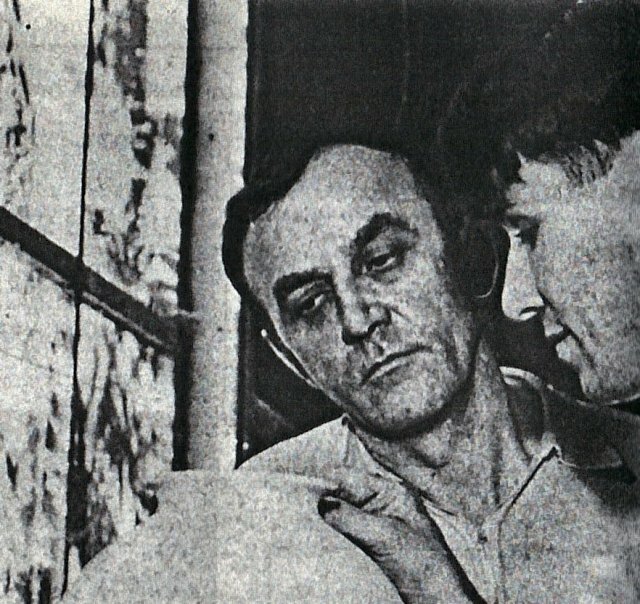 Jalanivich”, October 9, 1967. The Daily Herald, “David W. Jalanivich Sr.”, November 10, 1980. The Ocean Springs Record, "The Biloxi Boys: Meyer, Ohr, and Jalanivich", September 5, 2002 to October 31, 2002. The Ocean Springs Record, "Seymour's sculptures put faces in new perspectives", October 6, 2005, p.B4. The San Francisco Chronicle, “S.F. Potters Rise To Fame”, May 8, 1919 or 1935? The San Francisco Chronicle, “Clever Potters Bring Art To This City”, December 17, 1922. The San Francisco Chronicle, “S.F. Women Reviving Old Art of Ceramics”, November 1, 1937. The San Francisco Chronicle, “Death Splits Famed Team of Artists”, June 21, 1944. The San Francisco Chronicle, “Funeral Notices”, July 14, 1959. The San Francisco Examiner, “Funeral Notices”, July 14, 1959. The Sun Herald, “Mrs. Mary Louise Sablich”, February 14, 1991. The Sun Herald, “Gertrude Trosclair Jalanivich”, June 5, 1996. The Sun Herald, "James Eugene (Jimbo) Sablich", September 23, 2005, p. A6. The Sun Herald, "Mr. Dewey P. Jalanivich, Sr.", December 8, 2006, p. A10. Gertrude Jalanivich Medlock-conversation at 13809 Plano Road, Gulf Hills, January 11-12, 2001. Mark Jawgiel, e-mail January 31, 2002. Joan M. Levy, San Mateo County Historical Museum, e-mail of her search of the Belmont, California telephone books from 1938-1946 on January 9, 2002. James E. Sablich-taped interview in May 2002. Maxine McGraw Palmer-conversation at Byram, Mississippi on June 22, 2002.